Jazz has not always been only about swinging or hipness—more often than not, it is also about expansion and absorbing music and sounds from other cultures. Many have predicted that the future of jazz (as one of the possibilities) would be marriage of jazz and the folk music from the players’ native cultures. In the past, musicians like Miles Davis, John Coltrane and John McLaughlin went on to explore the music of various cultures, which was reflected in their music, and these were among the first hints of world music as a genre. But today, musicians coming from various indigenous cultures have absorbed aspects of jazz within their music, thus expanding the meaning of improvised music and the overall paradigm of jazz. 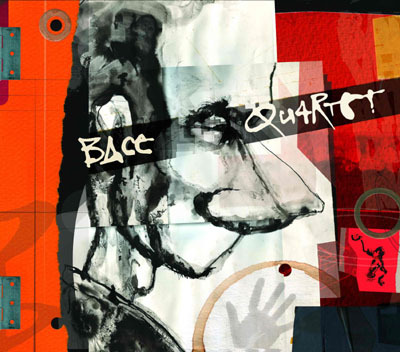 The Bace Quartet consists of four strong individuals coming from four distinct, yet closely related cultures. The core of the band is two percussionists, Alexandar Petrov and Bachar KhalifÃƒÂ©, who have performed together as a duo in the past, and this project is an expansion of their partnership. The third member of this ensemble, flutist Teodosii Spasov, is one of the most extraordinary musicians ever to lay a finger on a flute. Always seeking ways to expand his instrument (the kaval is basically a folk instrument), he does wonders with it, best showcased by his lyrical, sensitive and fascinating solos. His openness to new sounds and challenges makes him a sought-after collaborator. Rounding out the quartet is keyboardist Vasil Hadzimanov, the frontman of VH Band, a Weather Report-inspired group. His quiet keyboards and piano make for a perfect foil for the percussionistsÃ¢â‚¬â„¢ works and SpasovÃ¢â‚¬â„¢s solos. This music is an excellent example of what might be called ethnic jazz. Usually groups like this one are interested in blistering virtuosity, but the playing here is a revelation of sorts. The solos are brief and elusive, yet at moments the musicians do get carried away and trade some fiery licks. Most percussionists are interested only in keeping the rhythm or exercising chops to impress the listener, but here they treat their instruments like a piano, and it seems that there is a constant dialogue between them and the other two members of the quartet. These improvisations shift between painterly, sometimes intense rhythmical interplay and ethereal instrumental wanderings. The music on Guerre Propre is not just another experiment. Taken as a whole, the Bace Quartet sounds intriguing and beautiful. This unique collaboration among four fascinating players provides a rich sonic experience for the listener. Track listing: BAce Mood; Versblancs Dans Chocolat Noir; Intro; Dis Quelque Chose; Nona de l’est; Guerre Propre; Za Marie; Suite For Simeon; Bob and Majnune. Personnel: Aleksandar Petrov: percussion; Bachar Khalifé: percussion; Theodossi Spassov: kaval; Vasil Hadzimanov: Fender Rhodes, piano.